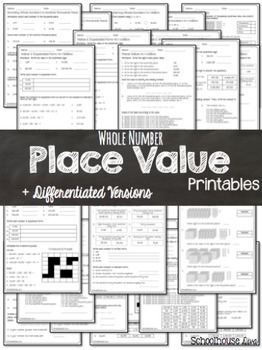 Place Value Worksheets with differentiated worksheets! 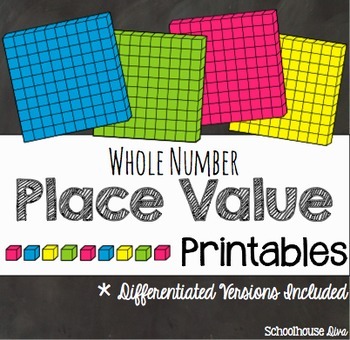 Included in this set are 11 Place Value Worksheets + 11 Differentiated Worksheets for each concept. Common Core and TEKS Aligned! Answers sheets also included! 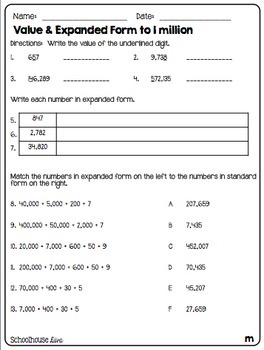 *** Each worksheet includes a regular version and a differentiated version. The differentiated version has an "m" at the bottom of the page to indicate that it has been modified. The modified worksheets are a little bit shorter and/or are a little bit easier, but hit the same content as the others. 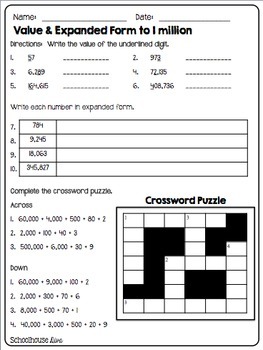 These worksheets can be used as classwork, homework, or assessment data. Check out my other activities!